The Beer Alliance of Texas advocates for a strong "Three-Tier" regulatory system comprised of distinct tiers that traditionally have not allowed for cross ownership and/or operations. This system has long been the cornerstone for regulation of Texas alcoholic beverage markets. Market conditions, technologies and consumer tastes do evolve and the Texas Legislature updates and modernizes the TABC code frequently to keep pace. Our membership believes the Three-Tier system serves Texas very well and advocates to maintain the system, with minimal disruption, to ensure an orderly and safe alcoholic beverage marketplace in Texas. Small production craft brewers were afforded a number of unique rights and privileges deemed as "in the State's interest" through landmark legislative agreements intended to support craft brew businesses in 2013. These new laws amended the highly regarded Texas Three-Tier regulatory structure that has ensured an orderly beer marketplace for consumers for years. As the malt beverage marketplace expands today, craft brewers are growing and expanding as envisioned by policymakers. However, mergers and acquisitions by international brewers of Texas craft brewers, are challenging the intent of limited exemptions for self-distribution and on-site sales granted to small startup craft brewers. CSHB 3287, stipulates that if a small production brewer is purchased or acquired by another brewer and their combined production exceeds 175,000 barrels per year, they are no longer afforded the rights and privileges the legislature put in place for small startup craft brewers. This change only addresses a small percentage of "larger" craft brewers when acquired by a large manufacturer. 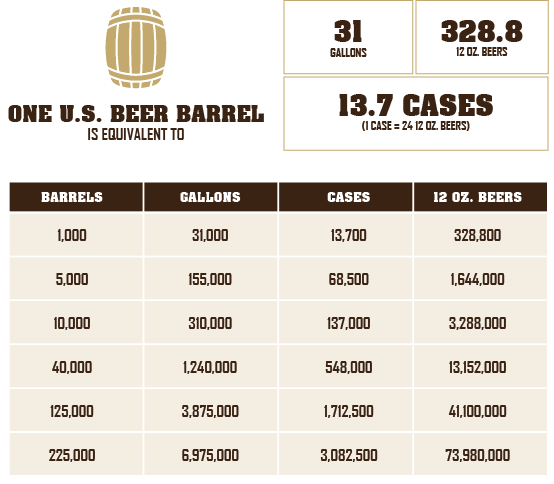 97 percent of craft brewers in the US produce less than 15,000 barrels per year. The substituted language allows brewers holding permits as of January 1, 2017 that are purchased by another manufacturer but producing less than 175,000 bbls annually to purchase through the distribution tier, up to 5,000 bbls per year (1,653,330/12 oz. beers) to sell for on-site consumption. This ensures that those acting as an alcohol retailer are treated like other retail tier businesses, providing equitable treatment. Today, independent brewers that produce less than 225,000 barrels annually may sell product for on-premise consumption, up to 5,000 barrels annually. Brewers that produce less than 125,000 barrels annually may self- distribute up to 40,000 barrels annually. This bill does not change ANY of the rights and privileges afforded to independent craft brewers that operate under current statutes and take advantage of the limited exemptions for on-site sales and limited self-distribution. The Texas Alcoholic Beverage Commission has heretofore strictly enforced De Minimis investment holdings when evaluating market control, adhering to the strict prohibition of cross tier ownership. Research indicates that a five percent hurdle, while appearing reasonable, is much too expansive based on the scale of larger corporate and individual investments held by parties in the state. The whole concept of cross tier ownership being a prohibited activity rests at the cornerstone of the three-tier regulatory system that has been in place since the repeal of the 18th Amendment (Prohibition). There were a number of causes that inspired the "great experiment" including virtually unregulated consumption and the undesirable promotions that grew from interests owning the manufacturing, distribution, and retailing of alcoholic beverages. That is why the system that is in place today precludes cross tier ownership. By way of example, five percent ownership in several example companies in different TABC tiers is shown below. Large investors or individuals could greatly influence market conditions across all three tiers with mega-sized holdings. The term "tied house law" refers to the broad statutory scheme regulating the marketing of alcoholic beverages and the cross ownership of licensed operations. to promote the state's interest in an orderly market. to prohibit vertical integration and dominance by a single producer in the marketplace. to prohibit commercial bribery and predatory marketing practices.